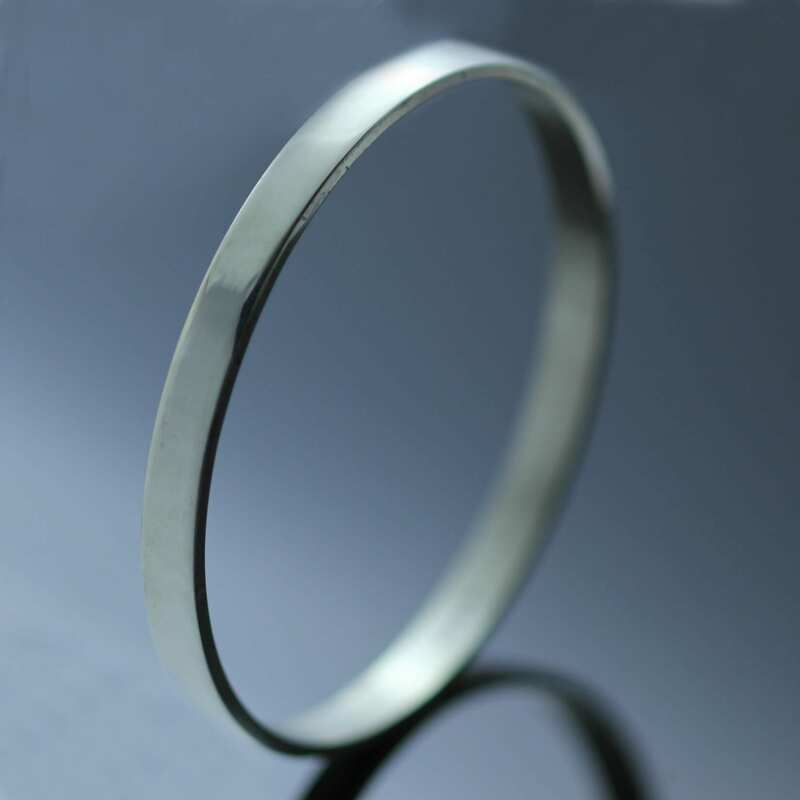 A hand polished stylish, modern stacking bangle is a chic creation by Julian Stephens. 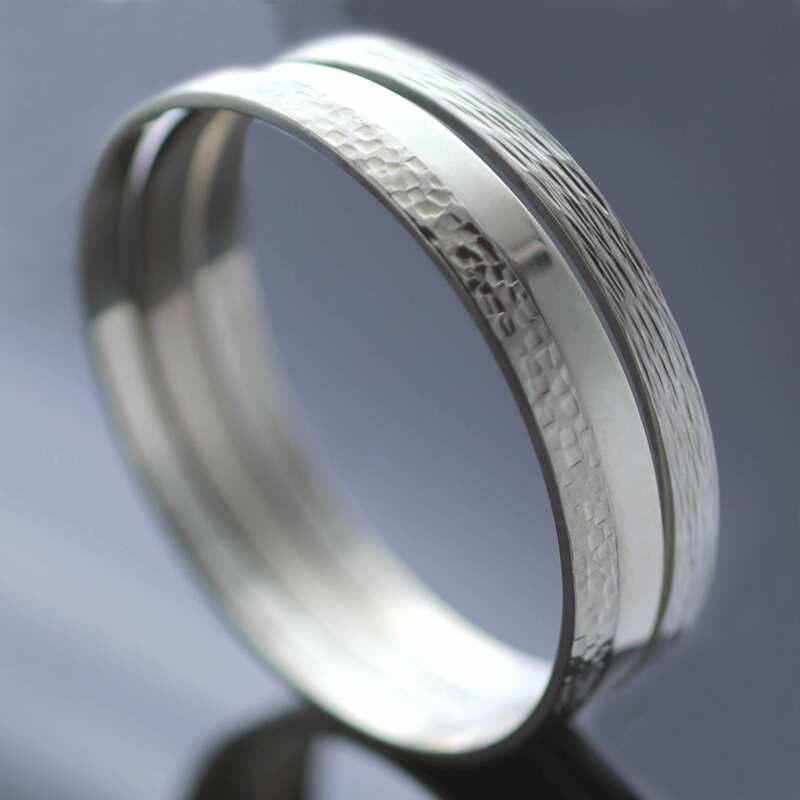 This beautiful bangle is handmade with care and expertise by Julian Stephens to create a stylish design which is perfectly suited for daily wear. 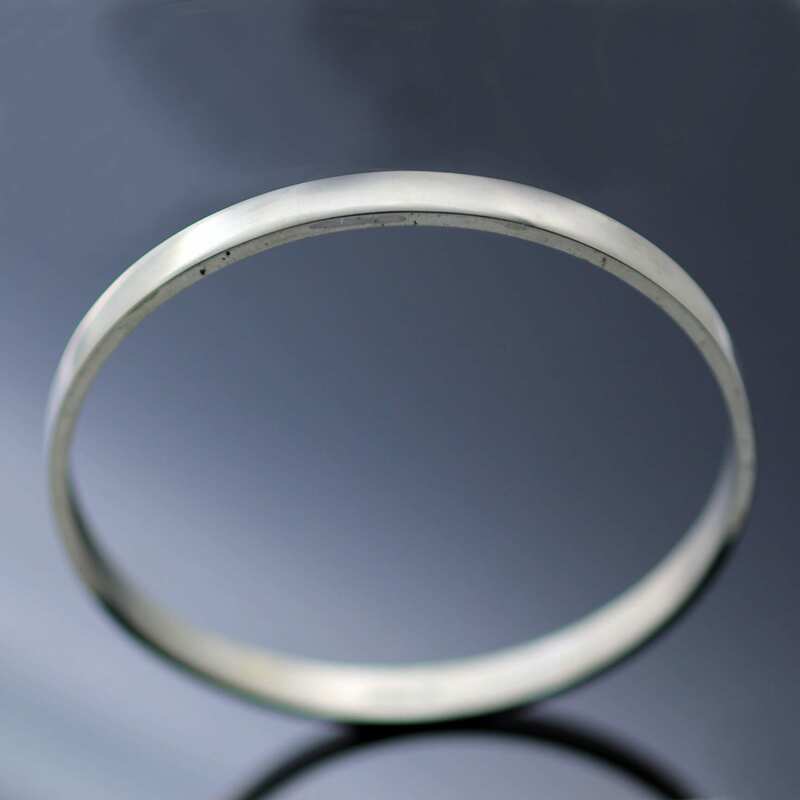 This Silver Flat bangle is polished for a glossy, high shine finish. The versatile design is perfectly suited for men or women and can be custom made in a range of sizes and band widths to create the perfectly proportioned bracelet to suit your style and taste.